Partnership to reduce the number of schoolchildren suffering from chronic hunger. Every Friday, thousands of otherwise hungry American children leave school toting backpacks filled with nutritious foods and juices for themselves, their brothers and their sisters. Backpacks are distributed discreetly before weekends and school vacations. 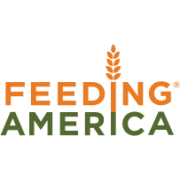 Feeding America, the nation’s largest network of food banks, manages the BackPack Program serving hundreds of thousands of children annually. The Abbott Fund is a major supporter, helping to feed 4,000 families by sponsoring BackPack programs near Abbott sites in Alameda, Santa Ana and Santa Clara, California; Columbus, Ohio; Dallas, Texas; Altavista, Virginia; Kenosha, Wisconsin; North Chicago and Chicago, Illinois; and Puerto Rico. The Abbott Fund is also sponsoring programs outside the U.S. through The Global FoodBanking Network. In 2010, the first international BackPack program was launched in in Mexico City, Mexico. The Abbott Fund has contributed more than $350,000 in grants, and Abbott's $150,000 in product donations include ZonePerfect nutrition bars. Abbott employees volunteer their time to help fill and distribute the backpacks each week. Their network of more than 200 food banks serves all 50 states, the District of Columbia and Puerto Rico, securing and distributing more than 2.5 billion pounds of food and grocery products annually. Those member food banks support approximately 61,000 local charitable agencies and 70,000 programs, which provide food directly to individuals and families in need. The Global FoodBanking Network (GFN) is a global not-for-profit organization dedicated to alleviating world hunger through food banking. GFN creates, supports and strengthens food banks and food bank networks around the world, in countries other than the US. GFN currently supports existing and developing food banks and national food bank networks in more than 25 countries, home to more than one-third of the world's nearly one billion undernourished people. GFN's goal is to effect permanent and positive changes that nourish individuals strengthen communities and protect the environment. Founded in 2006 by Bancos de Alimentos de México, Feeding America, Food Banks Canada, and Red Argentina de Bancos de Alimentos, GFN now connects and empowers organizations in 32 countries that together rescue more than 900 million pounds of food annually to feed 6.8 million people.